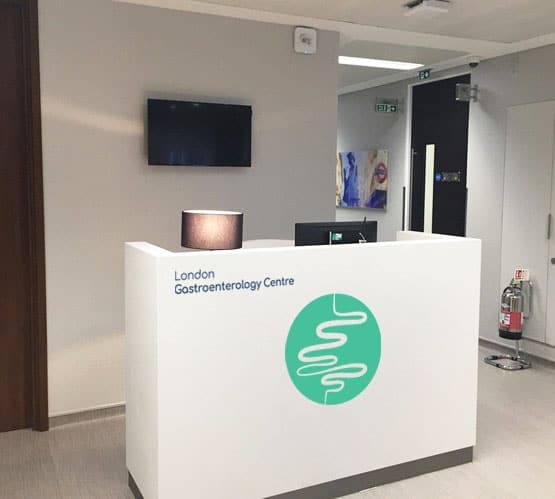 The London Gastroenterology Centre is a private clinic in central London that specialises in digestive health. We have a team of highly qualified consultant gastroenterologists who can perform diagnostic tests and provide treatments for a wide range of gastrointestinal disorders. Our doctors can help with anything from indigestion to throat cancer, and we have an experienced support team who can provide dietary advice and additional care when you need it. Our main clinic is easy to find in the centre of London, but we can also see patients at a selection of comfortable private clinics around the capital. We can arrange procedures such as endoscopies, colonoscopies, and gastrointestinal treatments at some of the top hospitals in the UK. Wherever you are being treated, we aim to make your visit as simple and convenient as we can. We also do our best to make the experience as comfortable as possible, even if you need to have an invasive test such as a colonoscopy or endoscopy. Our experienced team will provide the highest quality care along with all the information you need to understand your condition and the treatment options. We usually see patients who have been referred to a specialist by their GP, but you can arrange an appointment directly if you need to see a gastroenterologist. We can help with all kinds of digestive disorders, including inflammatory bowel disease and irritable bowel syndrome. Please get in touch by phone or email to arrange an appointment if you are experiencing gastrointestinal problems and you need our expert care and advice.